Today is Garden Bloggers Foliage Day, hosted by Christina at My Hesperides Garden. 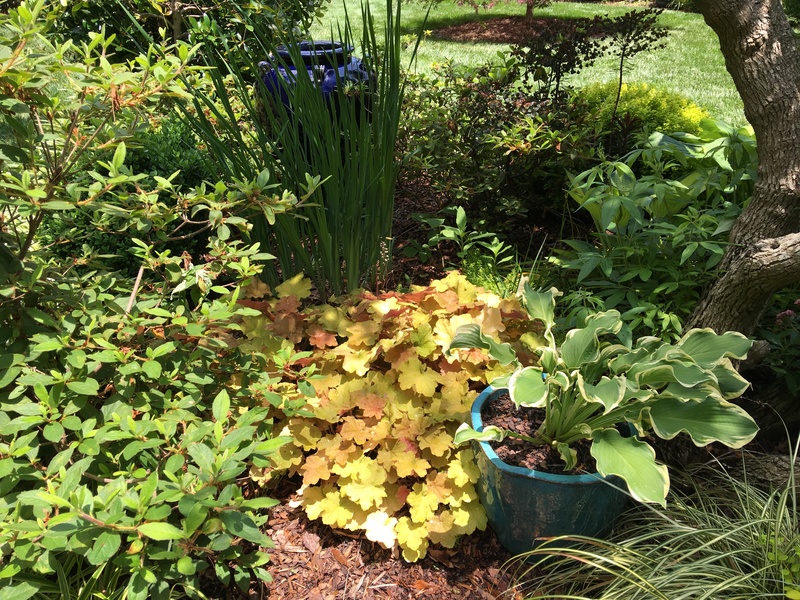 Rather than do a complete review of the foliage in my garden this month, I will offer only a few vignettes of areas in the garden dedicated to foliage. 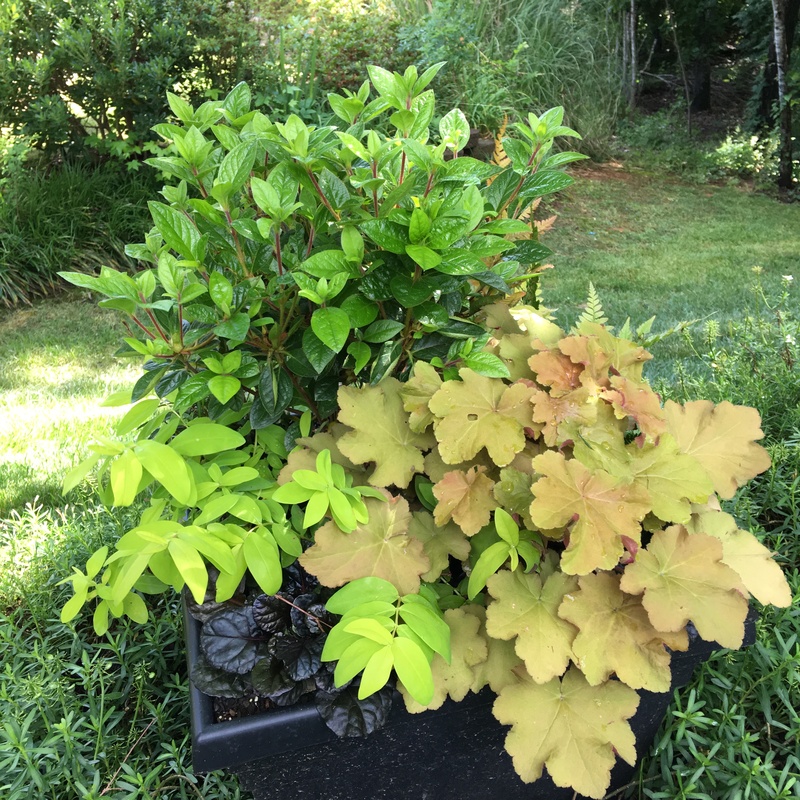 This entry was posted in Gardening, GBFD and tagged azalea, foliage, foliage plants, heuchera, hosta, Variegated liriope. Bookmark the permalink. Beautiful! I too am a ‘green’ gardener. Thanks, TK. The different shades of green can make a great garden. I’m still learning. Great. I like your hostas very much. Thanks, Susie. I hope you can see them if you make it to Charlotte. So beautiful. I love your shade garden! Thank you, Barbara. Come and see it. Great minds think alike! Love your planting combinations! I never knew I had a great mind, but I do appreciate your comment. I can see you do have quite a Hosta collection! 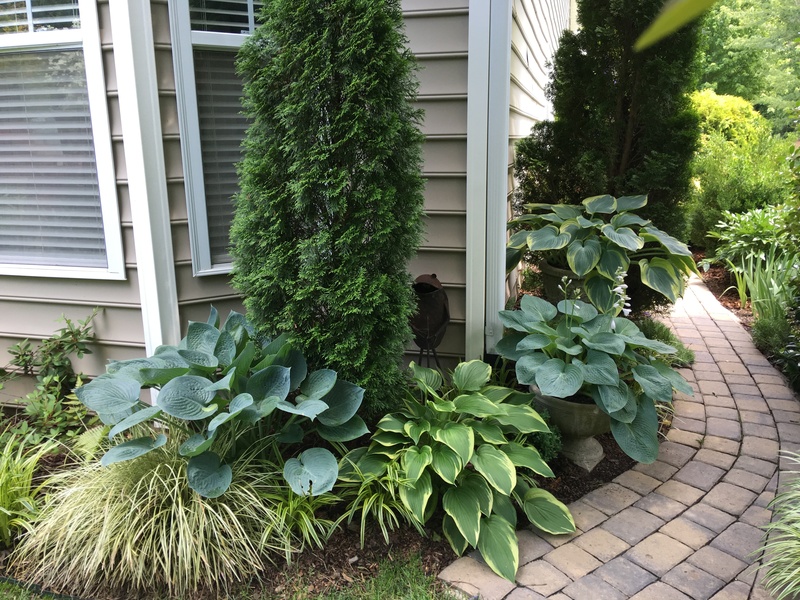 I do have a lot of hostas, Jason, but, alas, I have moved them around so much I can no longer identify one from the other. I have a list, but what good is that? At least the Garden Police are not after me. 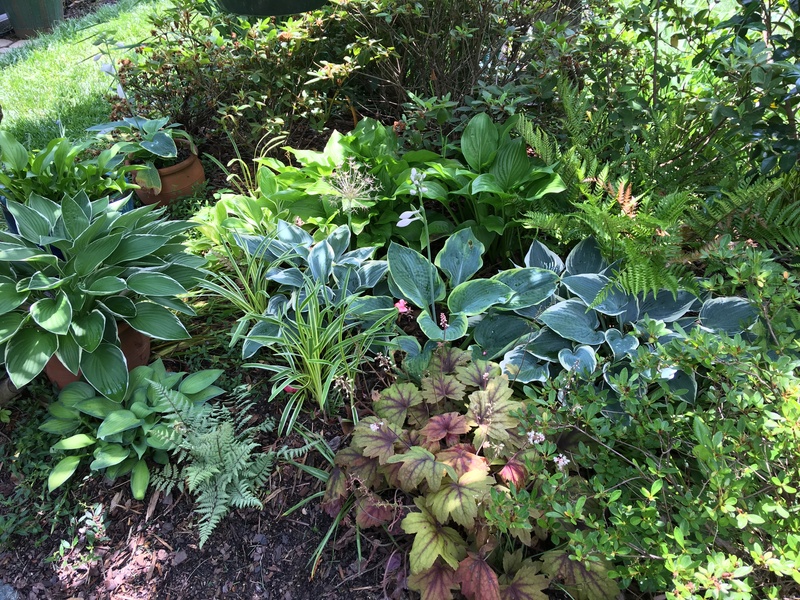 Hosta and Heuchera are such lovely plants, aren’t they? As you can see,they are among my favorites.